SLOW DOWN and MOVE OVER. or slow down to a safe speed. emergency vehicles and tow trucks. 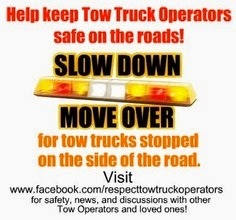 tow trucks. Be prepared to pay a fine of $500 if you're caught.